2017 is a big year for Venom, as Eddie Brock looks set to finally make his long overdue return. 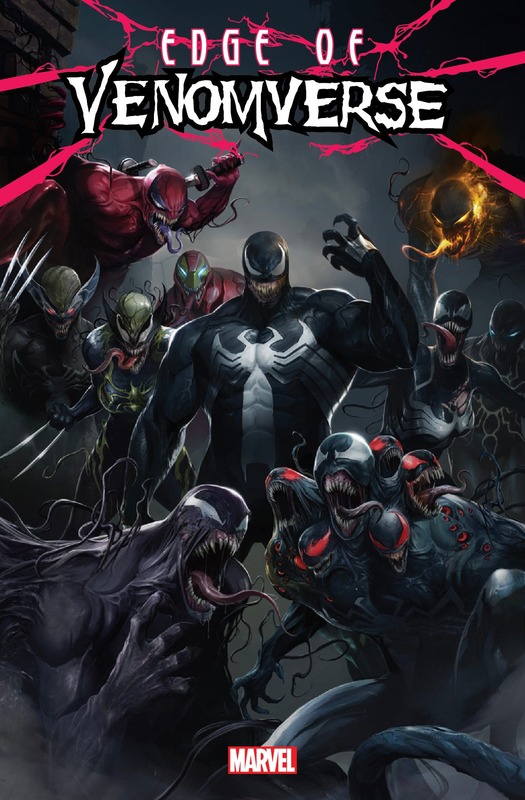 However, symbiotes as a whole will be making their presence felt in the Marvel Universe in a huge way over the coming months, starting with the five-issue Edge of Venomverse miniseries this June. As you can see in the teaser image below, it appears as if we can expect to see members of The Avengers undergoing some pretty drastic transformations when they’re bonded with alien symbiotes similar to the one Peter Parker first encountered way back in Secret Wars. It’s been a strange few years for Venom. After parting ways with Eddie, the symbiote moved on to former Scorpion Mac Gargan. The villain evolved into a monstrous killing machine at that point, frequently eating the flesh of his foes and even becoming a member of the Thunderbolts and Dark Avengers. Later, it would move on to Flash Thompson under the control of the government and ultimately joined the Guardians of the Galaxy. Now, he has a new host in Lee Price, a former Army Ranger with a massive, violent chip on his shoulder. 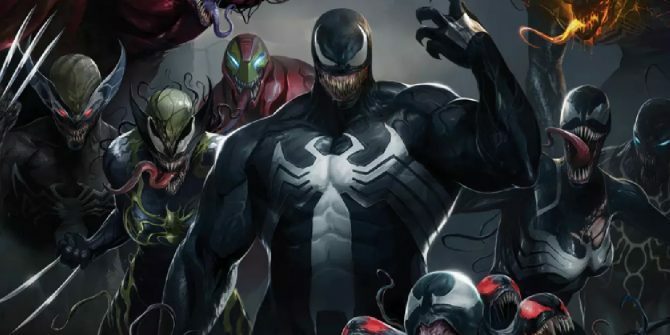 How Eddie gets the symbiote back will be addressed in Venom #150 later this year, but the series points to a big Spider-Verse style event taking over the Marvel Universe this summer. As a result, fans of Venom have a long list of reasons to be excited, but will we soon find that there’s such a thing as too many symbiotes? Time will tell.